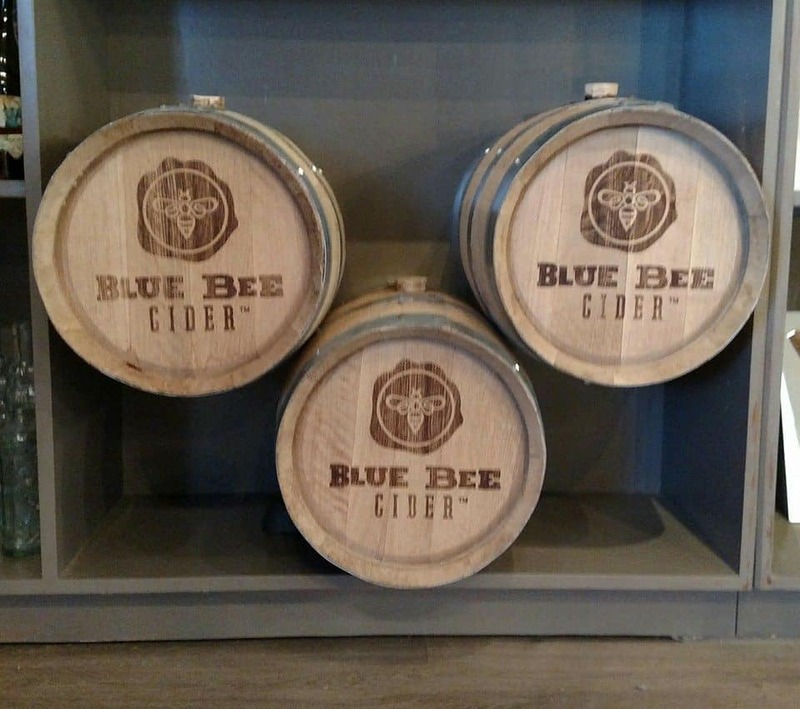 Blue Bee Cider is Richmond, Virginia’s first urban cidery. Originally situated in the Manchester district edging the downtown area, Blue Bee’s first home was a building that served its purpose for production and as a tasting room, with a “patio” that consisted of three tables in a parking lot. Recently Blue Bee made the move to the Scott’s Addition section of the city, so we thought the time was ripe to explore the cidery’s new location, learn more about its history, find out what’s happening now at Blue Bee and get a glimpse into the future. We spoke with Brian Ahnmark, who has been with the cidery since its start-up days. Blue Bee Cider, named for the blue orchard bee, is the brainchild of owner and original cider maker Courtney Mailey. In 2010, an approaching milestone birthday had Courtney rethinking her desk job. Back in high school, she took a career aptitude test and, while her friends were getting answers of politicians and lawyers, she found she was best suited to be a farmer. This memory, coupled with her desire to own her own business and work with her hands, inspired her to quit her job. Although she knew that craft beverage was the way to go, she wasn’t sure in which direction. Her uncle, Miles, is a renowned winemaker in Walla Walla, Washington, so wine was out since she wanted to forge her own way. Courtney, who also worked in economic development, has a great appreciation for Virginia history and had a natural attraction to the rich history of Virginia apples and of cider itself. Unsafe drinking water in colonial times made cider the table beverage of choice, and the same apples that Thomas Jefferson used to press cider in Monticello still exist today. This appealed to Courtney, and she felt the challenge to bring cider back and create a new appreciation for a craft beverage with such strong historical roots. Along with her father, Mel, Courtney headed to Cornell University for its renowned cider school. 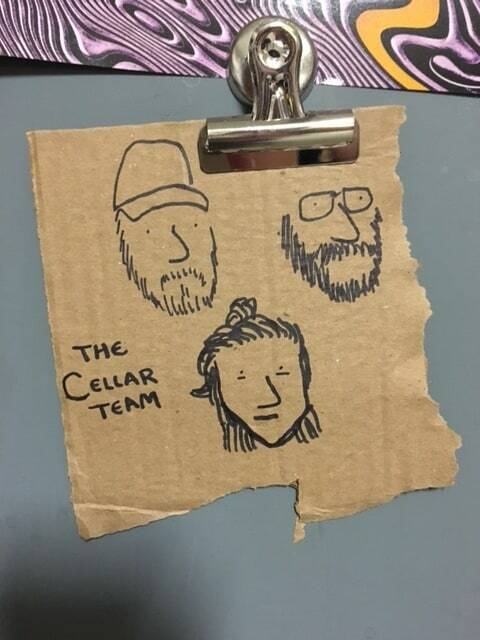 She then ventured to Albemarle Cider Works, just outside of Charlottesville, VA, to serve an apprenticeship that continues to be a collaborative, affectionate relationship to this day. On that first day they broke all the equipment. Courtney told Brian, “Thanks—I’ll be in touch. Not sure this thing is going to get off the ground.” But get off the ground it did. In April 2013, Blue Bee opened to the public in Manchester with one cider, Aragon 1904. The cider is still made today and is the company’s best seller. 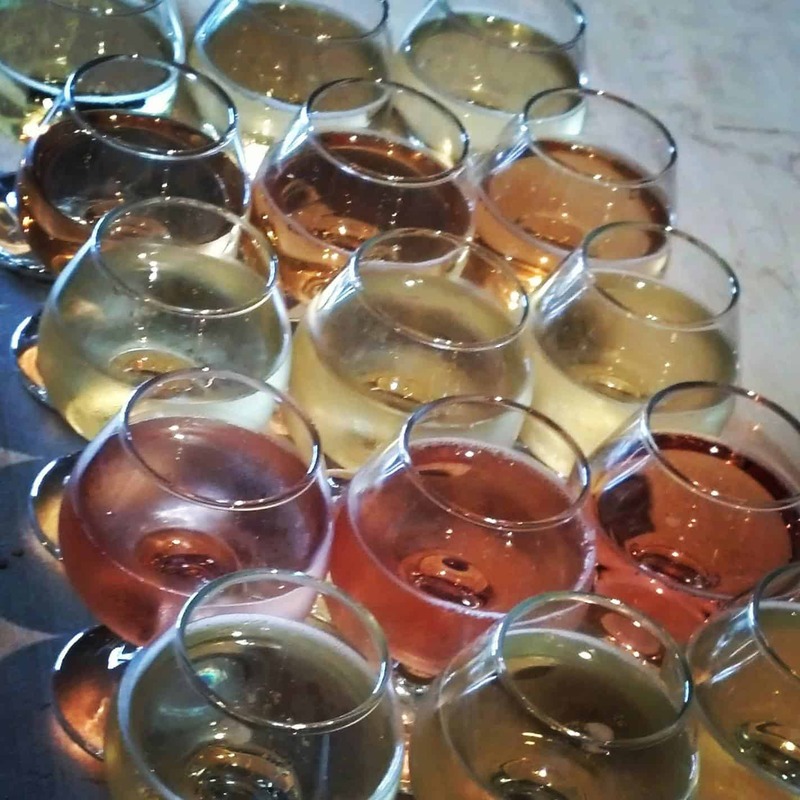 The original plan was to make 3 ciders a year in a tasting-room-only setting: Charred Ordinary, a dry, old-fashioned, tavern-style cider; Harvest Ration, a desert cider; and Aragon 1904, a semi-sweet, off-dry, apple champagne variety. That original plan of 3 turned into 6 in the first year, and 6 turned into 14 in the second year. Now Blue Bee makes up to 25 different varieties. The apples used to make the cider are heirloom, “oddball” types of apples—not the type of apple one would find at the grocery store or even the farmers’ market. The cidery leases the land from local farmers and partners with them to grow these unique apples rich in tannins, acidity and sugars. It is a partnership of trust and mutual respect for this historic fruit. 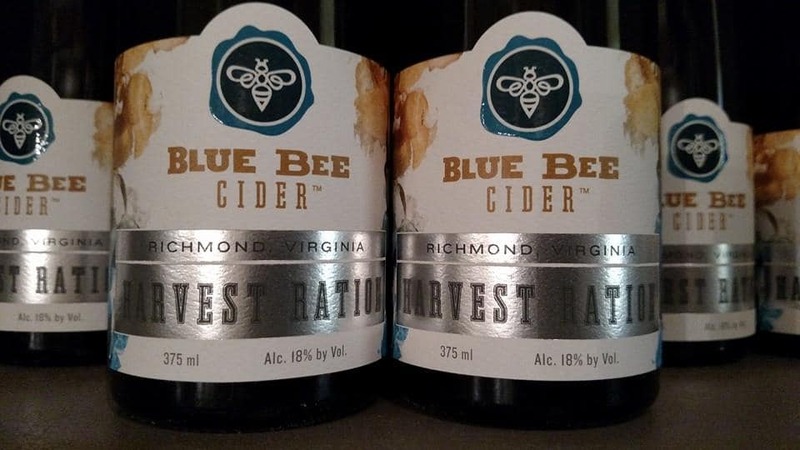 Recently the Harrison apple, a Northeast colonial variety that was thought to be extinct, was harvested for the first time from trees that Courtney grafted herself and made into a small-batch cider, which went straight to the Blue Bee Cider Club. Part of the Blue Bee mission is to change people’s perspective of cider. 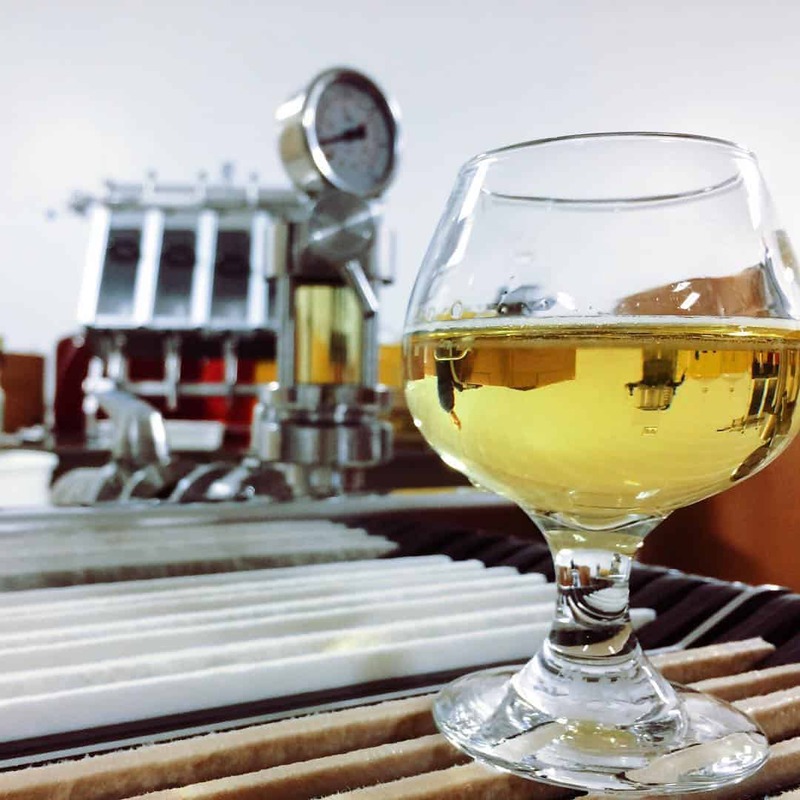 Courtney, the original cider-maker, and Manuel Garcia, the current cider-maker, strive to show people that cider can appeal to anyone and everyone because there are so many things that you can do with cider. 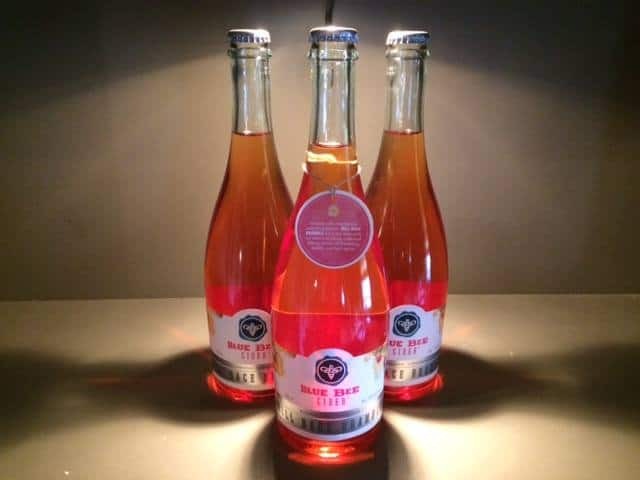 Blue Bee offers dessert ciders, blended-apple ciders and berry-infused ciders, such as Mill Race Bramble, which uses Virginia raspberries and blackberries. Blue Bee was the first cidery in the state to introduce a dry hop cider using hop flowers. The cidery even produced a custom brandy distilled from the cider, with the help of Catoctin Creek Distilling Company. Manuel, self-taught under the direction of Courtney, started with Blue Bee hand-labeling bottles eight hours a week. He gradually made his way to the cellar and now is responsible for innovative techniques, such as using different, new varieties of apples and experimenting with different yeast strains. The move to Scott’s Addition is helping Courtney, Manuel, Brian and the rest of the crew get the word out about cider. As described by Brian, it’s their own “little cider Disneyland.” The building looks like an old castle and was the once the old city stables, and they have tried to leave everything as intact as they could, from to the cobblestone courtyard to the old pulley system and restoration of the original stable doors. The company values preserving the rich history that complements the timelessness of the beverage they craft. With several breweries, a meadery and a distillery as their neighbors, Blue Bee welcomes the chance to be a part of a larger craft family. The grand opening included six collaborative beverages with their fellow Scott’s Addition alcohol producers, including four collective beers, a cider mead, a cider aged in rye whiskey barrels from Reservoir Distillery and two brand new ciders of their own. Blue Bee offers tastings like a winery, flights like a brewery and bottle and glass service, although Saturdays are so busy at the new location that Blue Bee is currently only offering flights during that time. 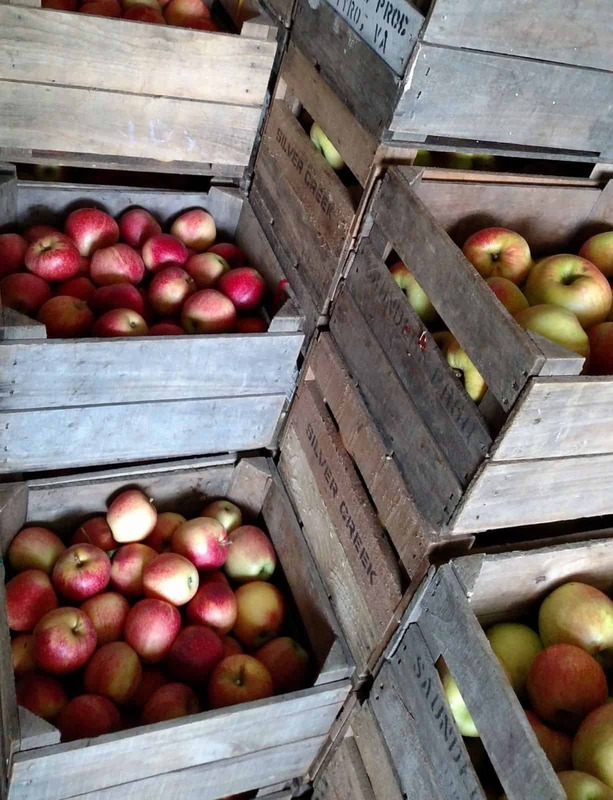 Eventually the cidery will host tours. Cider is new to most folks, so Blue Bee looks forward to the educational aspect of this beverage that is rapidly gaining popularity. The challenge is to make the conversation about cider on its own rather than comparing the beverage to beer or wine. If you’re planning to explore the city of Richmond, keep some time open to visit this unique cidery and its neighbors in the booziest section of the city. Find Blue Bee Cider at 1320 Summit Ave. in Richmond, VA; phone: (804) 231-0280.